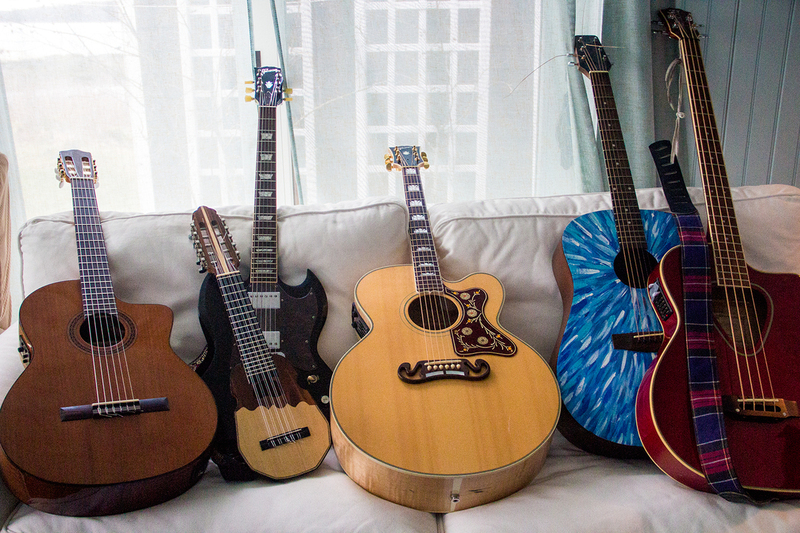 From the left, Cordoba C5-CE, Gibson SG Standard, a beautiful little Charango that I picked up in Peru, Gibson SJ-200 EC, the guitar my sister painted for me that now serves as my Nashville-tuned guitar, Hohner TWP-600 Acoustic Bass. All in all I'm very satisfied with the progress so far. More updates soon!